Choose from large variety of Ring Size and Type, use product filters to browse between Steel, Aluminum, Brass, Stainless Steel & Titanium Chain Mail Hoods. Add Brass Trim across Face & Bottom Helm. Add Leather Edges Across Face & Bottom Helm. 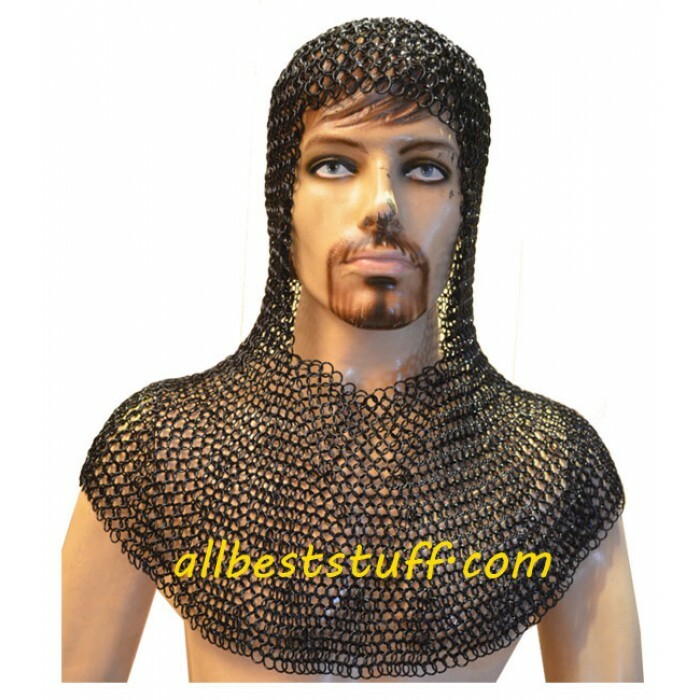 Add a Chain Mail Ventail for Face Protection. Choose between Side OR Tongue Ventail. Choose between Bottom Helm Shape.